Apple Watches have lured buyers since the time of their launch. Recently Apple came up with Apple Watch 4 which is in fact one of the most expensive smartwaches in the market. This all new smartwatch has some really interesting features to watch out for. The new design of this watch propels it ahead as far as usefulness is concerned. The bigger screen and the rounded edges enhance the overall look of the watch. Besides design more functionality has been infused which is making this watch a quite covetable accessory. Few features have been especially added for those who suffer from certain specific health conditions. Apple Watch 4 has four different variants- 44 mm and 40 mm sizes and without or with LTE. Mentioned below are some of the key features of Apple Watch 4. 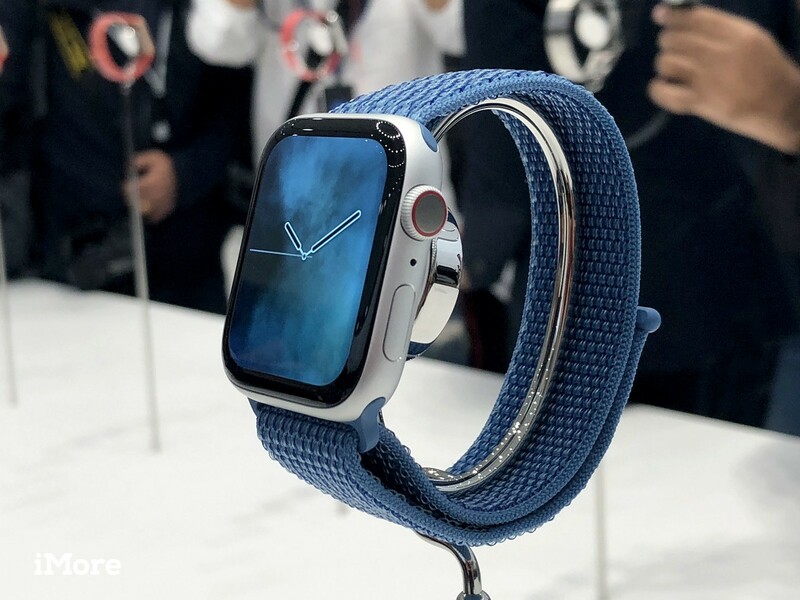 Apple Watch Series 4 has been amazing redesigned as well as re-engineered to enable the user stay more active, healthier, and connected. This watch has the biggest display of all Apple watches so far. There is this all new electrical heart sensor fitted in this watch. In fact Apple Watch Series 4 raises the bar of what you should look for in a watch. The optical heart sensor has always been a part of Apple Watch. It offers you the convenience to check your heart rate from your watch. But now with an all new electrical heart sensor (it made of an electrode in the Digital Crown and electrodes on back crystal), you can have an ECG app which generates electrocardiogram, which you can share with your cardiologist at any time you want. Now this is a perfect paradigm of some breakthrough technology. The makers toyed with the idea of having a bigger display without increasing the size as nobody wants to wear a cumbersome product. Narrower borders help to have a viewing area which is approximately 30% larger than the earlier models. Due to curved edges the watch looks better. The continuous appearance facilitates the touch surface to reach out to the farthest extremity of the screen. In order to take full benefit of these new dimensions of display, the whole interface has been redesigned to offer additional information with better details. The new Infograph watch face can house up to 8 different complications, this always to see more things at a glance. This was not there with previous models of the watch. A brand new display technology known as LTPO is used. It enhances power efficiency, thus enabling you to get through your day in one single charge. You actually get 18 hours of battery life with just a single charge. This highly optimized product is actually thinner than the previous models. The Digital Crown was made so that people could easily navigate on the Apple Watch and there was nothing obstructing the display. Haptic feedback on Apple Watch Series 4, delivers a clear-cut, click-like feel as you scroll though different things on your watch. There is a titanium electrode which is located on the top. It enables you to use your ECG app by just touch of your finger. This Digital Crown on your Apple Watch Series 4 augments so much of more capability into so less space. The entire spread is 30% percent less, yet more than 21% of components are roped in. Apple Series 4 watch has 50% louder speaker. This augments the audio capability drastically for Walkie Talkie and Siri. The microphone has been placed on opposite side in order to minimize echo for much clearer phone calls. In short, Apple Watch 4 series is your ultimate companion. It is your activity tracker, health monitor, workout partner all rolled into one single superb product.